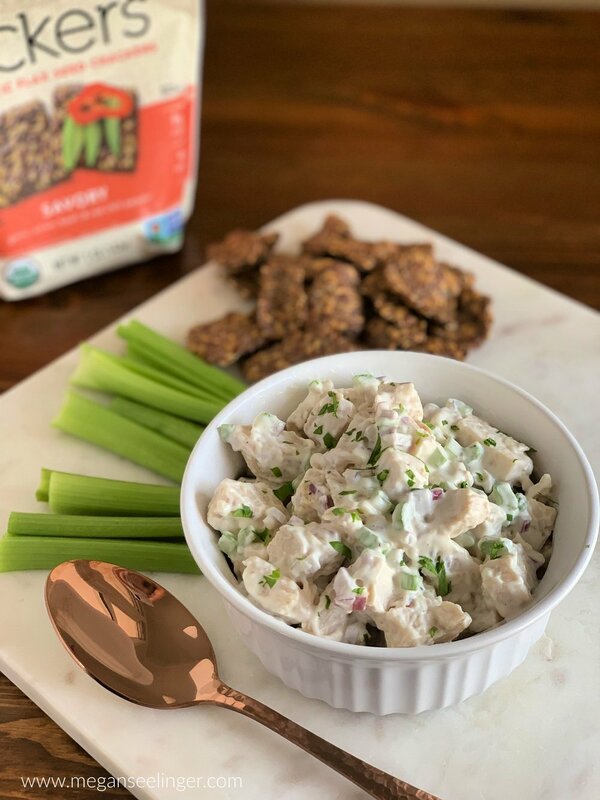 This Keto Chicken Salad Recipe can be made four different ways; Rotisserie Chicken Salad, Canned Chicken Salad, Leftover Chicken Salad and I ’ll even tell you how to cook chicken for chicken salad! Either way, all of these easy chicken recipes are the perfect make-ahead low carb lunch! It's almost not even fair to consider it a recipe because its the easiest Keto Chicken Recipe ever. I usually throw it together with leftover chicken or canned chicken, but sometimes I’ll cook up some chicken breast or thighs and make a big batch for easy meal prepped lunches. Although us Keto-ers are told we can slap on the butter, eat all the cheese, and indulge in chicken thighs instead of only lean chicken breasts, it's still important to be mindful of the ingredients we consume regularly. You have to be mindful of the mayo or other condiments that you find in grocery stores. Many of them will have added sugar, artificial sweeteners or a list of processed ingredients you can’t pronounce. 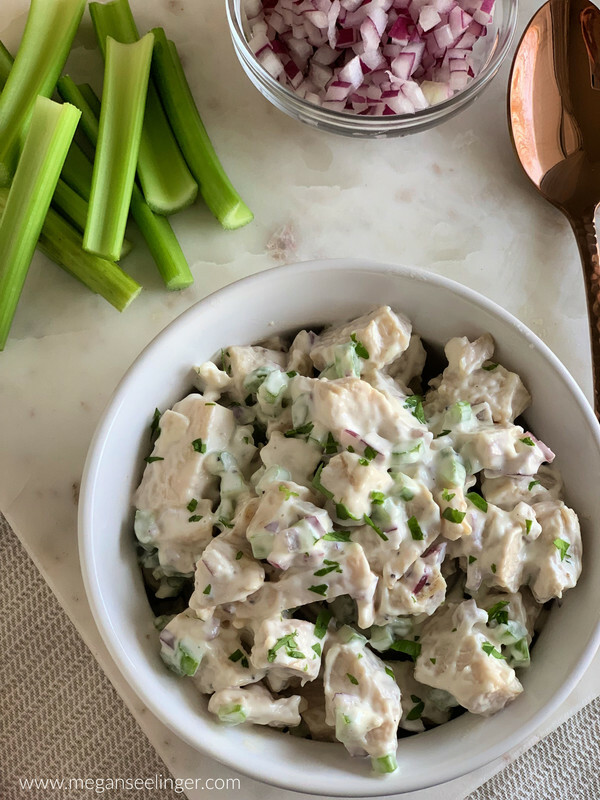 If you are going to be meal prepping a healthy low carb chicken salad recipe for lunch every day this week you will want to take the time to make sure you are using Mayo that is clean and Keto friendly too! I recommend making your own Keto Mayo or using Trader Joes Organic Mayo. If you’d rather find something at your regular grocery store be sure you take a good look at the nutrition label! This Keto Chicken Salad can be made using whatever chicken you have on hand. Here are my favorite options. Rotisserie Chicken Salad is perfect for a last-minute meal on one of those nights when cooking and making a full-on chicken thigh recipe ain’t going to happen. First, remove five ounces of chicken from the bones, discarding the skin. Use to forks or your fingers lol to pull apart the chicken and possibly even chop it up into smaller pieces. Now in a small bowl combine the rotisserie chicken, mayo, onion, celery, celery salt, ground pepper, and garlic powder. Canned chicken salad is even easier to make. Plus it brings back childhood memories because the canned chicken salad was one of my favorite lunches my mom use to make me, besides PB&J on toasted white bread. When I come up with a Keto alternative for that, I’ll be sure to let you know! Grab a five ounce or double the recipe and use the bigger ten-ounce cans of chicken. Drain out the juice and add your chicken to a small bowl. Use a fork to break apart the chicken, then add the mayo, onions, celery, celery salt, ground pepper, and garlic powder. Use your fork to work it all together. Like I mentioned you could take a leftover chicken breast or chicken thighs to make a leftover chicken salad recipe too. Any seasonings used to initially make the chicken will add extra flavor! My husband made some Italian seasoned chicken thighs that we had with cauliflower mash, and we just reused the leftovers to make chicken salad. It was so delicious. For leftover chicken salad weigh out five ounces of the chicken and chop it up before adding the rest of the ingredients. This chicken salad makes for a great low carb chicken thigh recipe or Keto Chicken Breast Recipe. You could make as large of a batch as you’d like since the recipe is so simple you can easily increase the number of servings you are making, or you can cook a single chicken breast or two chicken thighs to make the recipe. For a low carb chicken thigh recipe or Keto chicken breast recipe you could bake or sauté. Lightly grease a skillet or sauté pan over medium heat add chicken thighs or breasts to the pan and cook for about 5 minutes, flip the chicken and continue cooking for about 6-7 minutes. Check to be sure the chicken is cooked all the way through, no pink in the center! Remove from heat, drain any excess juices, chop up the chicken then add remaining chicken salad ingredients. Preheat oven to 450 F, lightly grease a baking sheet, bake for 10 minutes, remove from heat and flip the chicken breast or thighs over. Return to oven and cook for an additional 5- 10 minutes depending on the size of the chicken. Cut a piece open to be sure there is no more pink in the center. 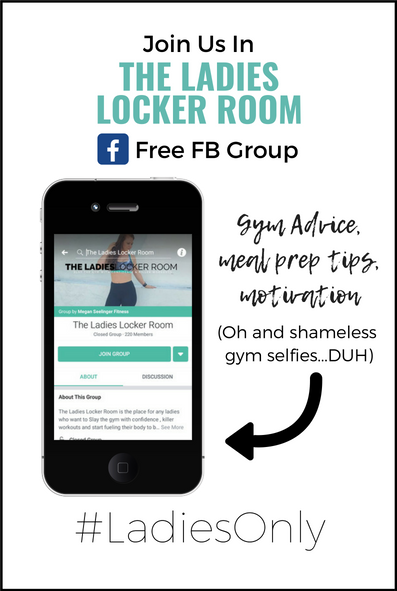 What to eat with Keto Chicken Salad? Ok.. let's be honest there is nothing better than chicken salad on Ritz crackers, but don't get excited, we can't have those (sad, sad news). But here are a few ways to eat Keto Chicken Salad. Remove five ounces of chicken from the bones, discarding the skin. Use two forks to pull apart the chicken and chop the chicken up into smaller pieces. In a small bowl combine the rotisserie chicken, mayo, onion, celery, celery salt, ground pepper, and garlic powder. Add the mayo, onions, celery, celery salt, ground pepper, and garlic powder. Use your fork to work it all together. To Sautee: Lightly grease a skillet or sauté pan over medium heat add chicken thighs or breasts to the pan and cook for about 5 minutes, flip the chicken and continue cooking for about 6-7 minutes. Check to be sure the chicken is cooked all the way through, no pink in the center! Remove from heat, drain any excess juices, chop up the chicken then add remaining chicken salad ingredients. To bake: Preheat oven to 450 F, lightly grease a baking sheet, bake for 10 minutes, remove from heat and flip the chicken breast or thighs over. Return to oven and cook for an additional 5- 10 minutes depending on the size of the chicken. Cut a piece open to be sure there is no more pink in the center.